German composer Robert Schumann described his Kreisleriana (1838) in the following words: 'The title is understandable only to Germans. Kreisler is a figure created by E.T.A. Hoffmann -- an eccentric, wild and clever Kapellmeister." Eccentric, wild, and clever aptly sum up one aspect of the work, but Kreisleriana is tender, ardent, and passionate as well. This alternation between the fantastic and the lyrical, the grotesque and the loving, is one of the key characteristics of Kreisleriana. Written in four days in April 1838, it is dedicated to Chopin in the score, but, like most of Schumann's piano music from the late 1830s, it is really about Schumann's love for Clara Wieck. 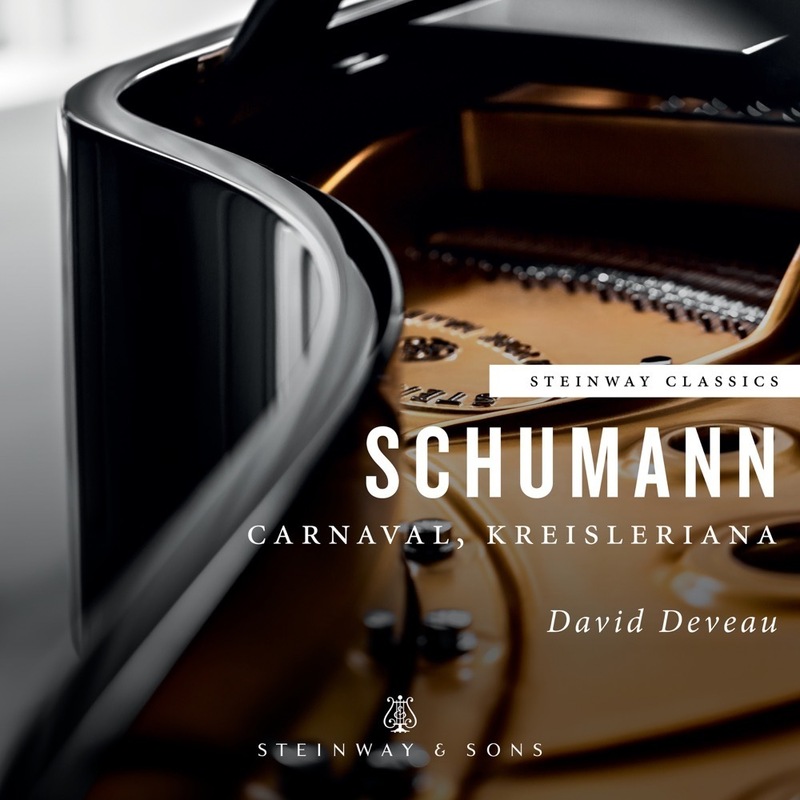 Extremely virtuosic and extremely subjective, Schumann's Kreisleriana is one of the high points of his compositional career. 1. Ausserst bewegt (Extremely moving) Fast and diabolical D minor outer sections flank a slow and supple B flat major central section. 2. Sehr innig und nicht zu rasch (Very inwardly and not to quickly) This is a triple time-stylized dance movement with two trios. After a tenderly musing B flat major outer section follows the fast and capricious Intermezzo I in G minor. After the return of the opening section follows the fast and passionate Intermezzo II in G minor. The second Intermezzo is followed by intensely chromatic music and darkly wends it way back to the final return of the opening. 3. Sehr aufgereg (Very agitated) Quietly creeping chromatic music in G minor, reminiscent of the first movement, flanks somewhat slower and deeply affectionate music in B flat major. The return of the G minor music is at first exact, but rises to a fortissimo climax in which the rhythm slows and the music drops down into the depths of the piano. 4. Sehr langsam (Very slowly) This meditative music in B flat major has intense lyrical music, bordering on a recitative, followed by intimately poetic music hovering between quietness and stillness. 5. Sehr lebhaft (Very lively) In this pianissimo triple-time movement in G minor that is close to a Scherzo in tone and speed are two trios: one whimsical and the other building to a dramatic climax. 6. Sehr langsam (Very slowly) The heart of Kreisleriana starts with a folk-like melody in B flat major, but transforms into an extremely ardent central section in C minor. 7. Sehr rasch (Very fast) A violently excited movement in C minor, the velocity and intensity increase in a central fugato until it collapses in slower, chorale-like music at its close. 8. Schnell und spielend (Fast and playful) This G minor music skulks and slinks in seemingly two tempos at once: the right hand's frisky melody moving in one tempo while the left hand's slow-moving melody in octaves is slightly out of sync. The music enigmatically ends on the bottom of the keyboard.